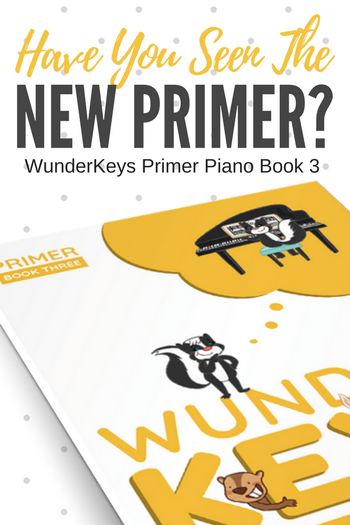 Trevor and I are excited to announce the release of WunderKeys Primer Piano Book 3; the third and final book in our primer method book series! When there are only a few “major players” in the method book world, teachers become accustomed to their resource of choice, and switching books can feel as hard as breaking a lifelong habit. But we think breaking that habit for WunderKeys will be well worth the effort! 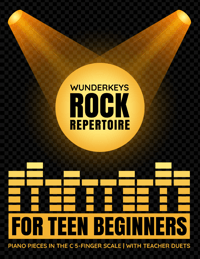 Thousands of students are already learning with the WunderKeys Method Books and more and more piano teachers are making the change each and every day. 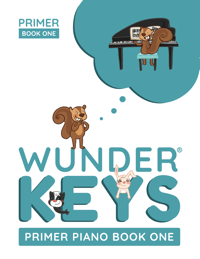 In today’s post, in addition to a video preview of Primer Piano Book 3 (which you can find below), we wanted to share feedback from teachers about why WunderKeys is the primer piano series of the future. There isn’t a note, a rhythm, a sentence, an image, or an instruction in any of our primer piano books that we didn’t agonize over endlessly. Even the tiniest pedagogical or visual detail on any page in any of the books exists for a very specific reason. 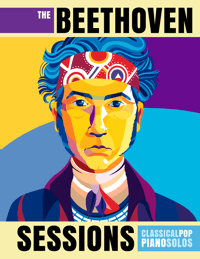 To say we carefully planned our approach to a primer piano series is an understatement. There were more nights than we can count when our girls would come downstairs in the morning to find that we hadn’t gone to sleep. We didn’t set out to simply create a method book series; we set out to create perfect method books built on our blood, sweat and tears. So when teachers leave glowing WunderKeys reviews mentioning the specific details that we painstakingly debated, created and re-created… it makes all of our efforts SO worth it! Publishing WunderKeys has been one of our most rewarding life experiences… but we would be nothing without the community of talented and brilliant WunderKeys teachers who took a chance on us! Pacing isn’t a word that packs a “wow factor”, but it was our number one priority when we set out to make a method book series. Books that move too fast frustrate students. Books that move too slow bore students. Books that move slow and then fast result in kids who hit a wall. We worked hard to make sure our primer piano books “just make sense”. Whenever we present new concepts and skills, the transition is as clean and seamless as possible. We use a step-by-step, scaffolded approach meaning there are no gaps in instruction or surprises that cause confusion. 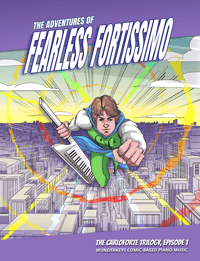 Piano books don’t have to be boring! We made it our challenge to prove this point. We set out to create books that were so engaging they would turn the heads of people who aren’t even in piano lessons. 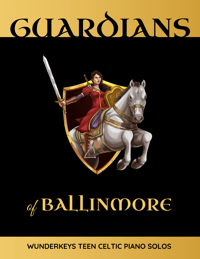 Given that WunderKeys books are being read as bedtime stories… we think we conquered our challenge! We don’t pretend to be any bigger than we are; we think great things can come from small packages. The WunderKeys books were created by a team of two; just Trevor and I (okay… we had some help with the artwork, nobody would want to see our chicken scratch). No boardroom, no fancy offices, no secretaries, no social media managers… no babysitters… just the two of us, at a kitchen table and a piano… on a simple street… in a small town. But that didn’t stop us from reaching for the stars. And with WunderKeys now being used in thousands of studios in over 25 countries, we think we might just make a difference in the music world. Because we are a staff of two, when you reach out, it’s really us sending the reply! This allows us to take all of your feedback to heart, and it allows us to quickly change, pivot, and improve. 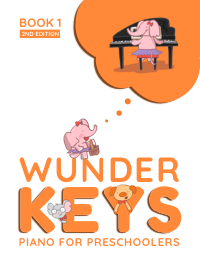 The WunderKeys Primer Piano Books were created to be an “all-in-one” resource. Your piano parents aren’t required to buy several other supplementary resources to make a complete piano lesson. In every book you receive pedagogical instructions, off-the-bench activities, technical warm-ups, repertoire and even games. All three WunderKeys Primer Piano Books are now available on Amazon. 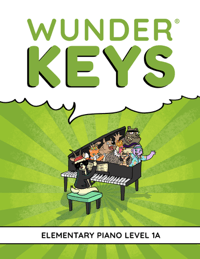 You can check out WunderKeys Primer Piano Book 3 here.